Ampersand Distilling Company is a family founded craft distillery located on a five acre organic farm in the Cowichan Valley. Though trained as engineers, father-son duo Stephen and Jeremy Schacht have used their knowledge of science and traditional distilling techniques to create a hand crafted distillery where they can make hand crafted spirits. Like the Ampersand, we are all about bringing things together; ingredients & techniques; science & art; tradition & innovation. We make delicious spirits designed to be a staple on your bar. 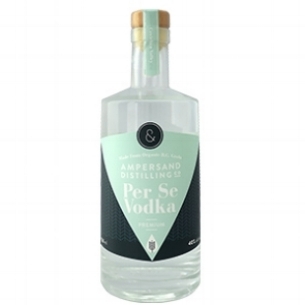 Ampersand Gin is our flagship product, an award winning instant classic, that brings together organic BC wheat with eight organic & wild harvested botanicals and our own spring water. Ampersand Gin plays well with others in your favourite cocktails, but it's also brilliant on its own. And since it's made from scratch with organic botanicals and organic BC wheat, we think it's a better gin. Per Se Vodka is the pure expression of the 100% organic BC grown wheat we use to make our spirits. The grain is milled, fermented, and distilled, before being diluted with our own spring water to create an award winning spirit with body, sweetness, and a creamy mouth-feel. This vodka is best enjoyed sipped solo, but in true Ampersand fashion, it works well in your favourite cocktail..